Live the Joy of Good News ! she gives herself through prayer and work, in his Congregation and the Church. 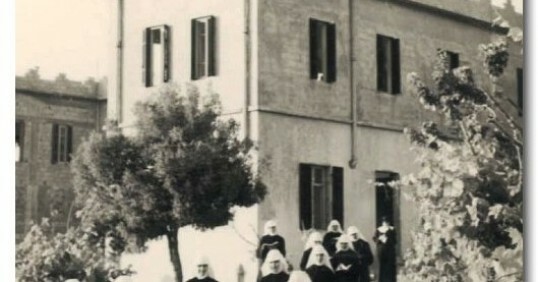 The Antonine cloistered nuns of the Antonin Order living in Lebanon at the very beginning of the 18th century are at the origin of our Antonine Sisters’ Congregation which became apostolic in 1940. Mother Isabelle Khoury (1878-1953) of Jezzine, Lebanon-South, was the source of the apostolic vital impulse for to devote herself to the service of the men and women of her time. The Antonin Order of Saint Isaïe was founded on the 15th of August 1700, at the convent of on the Arant Mount at Broumana, by the bishop Mgr Gabriel Bluzene. The Constitutions and the rule of the Antonin Monks and the Antonine Nuns were approved by the Pope Clement XII, on the 17th of January 1740 by “Misericordiarum Pater”. After several displacements between the convents of St Peter and St Paul-Kattine, St Anthony-Baabda, N.D.-Bkerke and St Simon-Baskinta, the Antonine Nuns are definitively established in two monastries: Saint Elias-Ghazir in 1748 et Saint Anthony-Jezzine in 1774. Since the dawn of Christianity, the Gospel has been the ideal of numerous men and women in the East who abandoned everything and followed Christ out of love for Him to live by the Gospel that has become a way of life for them. Monks and nuns in the cities, close to houses or on the outskirts , were totally dedicated to God and at the service of the Church, following the Syriac spirituality; action and contemplation complemented each other through the love of God, love of men and women and service of humanity. We do not have a founder in the strict sense of the word, but a community of Father and Mother “Founders.” They all came from the people reality, answering the call of the Gospel. We were named after Saint Anthony the Great, Father of monks. Saint Maroun, leader of our people and of the Syriac Church of Antioch, gave us our name of “baptism.” We follow the example of these two great saints. Antonines and Maronites,and we are proud of our name. Sons and daughters of the Pact, Pachomius, Mary, Basile, and Macrine, disciples of Anthony and Maroun, influenced our way of life by the simplicity of theirs, the radicality of their engagement and the totality of their self-denial. Our recently canonized saints are the jewels of this tradition: Charbel, Rafqa and Hardini. The first Christian monks were born in the East; their inheritance was transmitted to the West by the great Fathers of the undivided Church (The Light of the East, 9). We consider ourselves daughters of Saint Anthony the Great (250-356), Father of the Desert of Egypt and of the monks and, we are proud to carry his name and his rich heritage.The words “Abba father, tell us a word,” born of a life experience of the Spirit. An echo of the Word of Christ, the word of Saint Anthony is eternal and is capable of penetrating deep into a person’s soul. to the poor…then come, and follow me” (Mc 10: 21). Second call: If you really want to be a hermit, go within yourself. Engaged in prayer and asceticism, Anthony becomes Theo-didactic, i.e., taught by God. He becomes an “expert” in God. Pray and work. Live the Resurrection now. Wherever you go, always have God in front of your eyes. No matter what you do, have the testimony of the Holy Scriptures, and wherever you stay, settle down and do not move very often. If we repress our fellow brothers entertainment, they will give up quickly. It is necessary that we occasianally give them the opportunity of freedom and relaxation. Accord to God's inspiration do What you feel your soul deeply longs for, and keep your heart at peace. Our lives and deaths are closely connected with our fellow men and women. Indeed, if we win the hearts of our brother or sister, we win the heart of God, but if we sin again our brother or sister, we sin against Christ. Demons are those that manifest themselves in our work . May our zeal grow daily, as if it were the first day. Today, I begin. Time is short. Don’t let the ambition of possession get hold of you. Let us rather cultivate prudence, justice, temperance, strength, faith in Christ, goodness, and hospitality within our inner beings. The Tau represents the cross of Saint Anthony and his cane on which he leaned during his long hours of prayers, especially at night. It signifies his endurance in asceticism and his total love for Christ, the "Alpha and the Omega", the First and the Last". Following Saint Anthony, and as a symbol of our affiliation with him, we adopted the Tau in blue on our religious garment. Today, we carry it in a chain around the neck, as a sign of our total dedication to the service of God and humanity. • Saint Maroun (410) is the father of a community of monks, nuns and saints. He is the leader and the patron of the Maronite Church. Saint Maroun devoted his life to the praise of God, in the open air on a plateau in Cyr, near Antioch. With his word, his asceticism, praise and adoration, he cured the sick in body and soul. People came to him from everywhere and disciples followed his example. This was the core of the Maronite community. In the 5th century, the “fire” of religious life proliferated fast , especially after the building of the large Mar Maroun monastery (452) which quickly became the first of all the monasteries of Second Syria. • Symeon the Stylite is one of Saint Maroun’s most influential disciples, who taught countless of hermits and spiritual guides and attracted many and followers though in his life style. The conversion of the Mountain dwellingLebanese, to Christianity, especially in North Lebanon, is attributed to their disciples. Hermetic and religious life flourished, thanks to their example,and Mountains and valleys including Qadicha (the Holy Valley), became populated with monks and hermits. • Monks and hermits of Qadisha: In the Xth century, the Maronites gradually settled in Lebanon. Hundreds of monks and hermits took refuge in the caves of Qadicha, and in its big and small monasteries. Thanks to the reports of the Orientalists, we know of their life of prayer, poverty, hospitality and their efforts in plowing the land. Some figures became very well known such as Marina, Younân Al-Matriti and John of Lehfed. The Maronite Church is a unique phenomenon throughout the world: Patriarchs, bishops, monks, and nuns, to whom the hermits of the Valley and the villagers were ad, took refuge, during four centuries, in the Qadicha Valley, whose chief-town was the Patriarch of Our Lady of Qannoubine. It is a monastic Church. Closer to us, Hardini, Rafqa, Charbel and soon Douaïhy, as well as others, confirm the criteria and the conditions of holiness deeply rooted in the conscience of the Maronite community. These monks and nuns, who lived "as if seeing the invisible", continue to have descendants in the living and prosperous Orders and Congregations of men and women. These Orders and Congregations constitute, at the crucial time in Lebanon and the world, centers of gravity and points of attachments where the Spirit can speak to the churches, especially the Maronite Church. Family values, communion and deep faith which the Maronites continue to live, despite their divisions, confirm that holiness is a vocation addressed to all believers. We discover the richness of the past, so as to clarify the present and be open to the future. Our congregation built upon the traditions of the universal Church . The ideal is the same: to have faith in Christ and serve as He did. • Heritage of Sanctity for our Present : In our saints' life more than in scripture, we discover the constant exemples of sanctity anchored in the profound conscience of the Maronites: Passion for God, thorough gift of life, assiduity to prayer and praise, total resignation to God correlated with a total engagement to work and charity and to the spreading of the Word of God and the stablishment of His reign. Happy are the saints who live as if "seeing the invisible" and testifying for Him. Despite the anonymity to which they are confined, a few titular mothers figures emerge in our history. The woman in the Syro-Maronite Church participated very early in the Trinitarian edification of the pastoral ministry. In the middle of the IIIrd century, she is "ordained" deaconess beside the deacon, at the service of the bishop, symbolically the image of the Spirit, between the Father and the Son. "Honour the bishop as if he were God the Father, love the deacon as if he were Christ, and respect the deaconess as the Holy Spirit" (Didascalia apostolorum 9 and 16). In his "Philothee History" (444),Theodoret, bishop of Cyr, quotes three disciples of Saint Maroun, Kyra, Marana and Domnina, who are “madly in love with Christ”. The first two withdrew from the world to dedicate themselves to silence, asceticism and glorification, without leaving the service of the Church and her offices. Domnina was the superior of a monastery of 250 nuns. We evoke also the memory of the most famous and holy syriac Women of Mesopotamia, who are : Pelagy, Febronia, Euphemy and Shirine. Virgins dedicated themselves to God in their families. "Saints" lived an unconsummated marriage or formed communities of celibet people devoted, through a life of prayer, to the service of the Church. They are the sons and daughters of the Pact. The Egyptian Mothers, disciples of saint Anthony, are guides and exemples to for their monastery. The charismatic word of these "ammas" (Mothers) such as Syncletique, Theodora, Sara and Eugenie had the authority and wisdom of experienced spiritual guides. One of the Abbots exclaims before his brethren: "Sara is a mother to me and to you". Saint Marina of Qannoubine (Vth century) is the synthesis of the hermit nuns, in the Holy Valley (Qadicha). 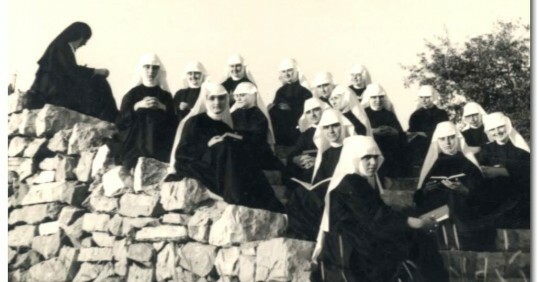 Because of the lack of convents for the nuns in the Holy Valley, she disguises herself into a "Monk" to be able to follow her father to the monastery of Our Lady of Qannoubine. This monastery is a group of Lauras for the dwelling of hermit monks. For reasons beyond control, this disguise was allowed until the XVIIth century. Wrongfully accused of adultery, she is thrown out of the monastery to live in a nearby cave, where she tenderly raises the child of the guilty woman. An epitome of dedication, she transforms her cross into a force of resurrection. By her endurance, she resembles her martyred Maronite people who have asked for her intercession for centuries. The Congregation of the Sisters of Saint Jean the Baptist in Hrach was founded in 1642 in her honor. Saint Rafka (1832-1914) closer to us in time summarizes the spiritual maternity by her endurance, in suffering, her surrender to God, and to the power of prayer, glorification and intercession. Our Antonine Mothers have lived in several monasteries before reassembling, two hundred and fifty years ago, in two of them: Saint Elias in Ghazir in 1748 and Saint Anthony of Padua in Jezzine in 1774. They passed on the torch to us, at the time of the renovation of the apostolic life. That is in itself a sign of God, a wonder. Their lives remained historically concealed from us until now. It is one of the mysteries of God. Names are, however, unveiled, and fragments of their lives, "hidden with Christ in God", came to light. Some of their features are imparted, starting from the monastery of Saint Anthony of Padua in Jezzine, according to the "Historical Precis" of Girgi Ibrahim Nasr. It was "the only monastery for the Sisters in the Maronite Eparchy of Tyr, Sidon, Banias and High Galilee. According to Father Youssef Abi Nader, in the same Precis, it was burned with its registers, during the revolt of the Druzes in 1860”. • Sister Matrone Nasr is one of the first to leave the double monastery Saints Peter and Paul in Kattine to settle at the monastery of Saint Anthony of Padua in Jezzine (1774) following "the wars and the constant conflicts between the governors of the country and its different factions". She died in the "odor of sanctity" after a "life of faithfulness, abstinence, purity and piety". It is said, that once while she was reciting her breviary, her lamp faded out as it fell short of oil, she filled it with holy water and the lamp lit up! • Mother Brigitte Abi Chahine (1836-1918) never abandoned her rosary, nor her steady prayer, for the safeguard of people during the first World War; she often offered her life for the redemption of the people and the end of hostilities. • Soeur Ziara Harfouche (1849-1920) "bore frequent illnesses with evangelical patience". • Sister Julia Heneineh (1890-1916) died in the bloom of youth, after a grave illness during which she submitted herself to the will of God. • Sister Amaneh Abi Chahine (1873- 1943) was the superior of the monastery of Saint Anthony of Padoua, Jezzine before Mother Isabelle Khoury (1913-1921) and after the latter's leaving to Roumieh (1933-1941). "She was a theologian, pious, virtuous, gentle and humble. Sister Amaneh was known for her zeal, abstinence, obedience, patience and wisdom". She was "a writer and a historian". She also was very compassionate towards the forsaken and the poor, especially during the famine which prevailed in Lebanon, in the course of the first World War. She added some pavilions to the monastery and bought property. She persuaded Mrs. Bahigé, widow of Melhem Nasr, to devote herself to the Lord. Mrs. Bahigé entered the monastery as an ascetic worshiper (abidat) dedicated to God. She gave to the monastery all that she possessed in terms of money, land and furniture". She died "in the odor of sanctity" on May 3, 1938. As for Sister Amaneh she bore the sufferings of her last illness with the "patience of saints". • Sister Josephine Heneineh (1885-1956) is the elder sister of sister Julia Hneineh. "She was committed to religious life, faithful to her work and devotion, patient in adversities and hardships and dedicated to the welfare of her religious Order". She died at the convent of Mar Doumith, Roumieh, El Metn. 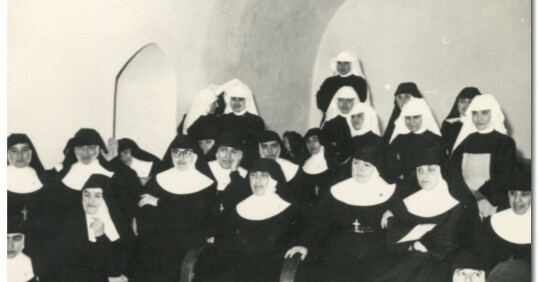 The two sisters, Julia and Josephine, are the aunts of Sister MarieJoseph Hneineh, who entered the convent in Mar Doumit after the Renovation of the Antonine Sisters Order. • Sister Yousfieh Helou, the beads of her rosary melted in her fingers. • Sister Marie Kmeid (1891-1970) strong and decisive, she was the last superior at the monastery of Saint Anthony of Padua in Jezzine. She died at the convent of Saint Elias in Ghazir. • Sister Mariam Aoun (1886-1964) Saada Aoun was born in Kfour, South of Lebanon. She entered the Antonine nuns monastery of Saint Anthony of Padua in Jezzine on April 1, 1901. She accompanied Mother Isabelle Khoury on May 10, 1932 to Roumieh, El Metn for the beginning of a renovation of the Antonine Sisters. On May 22 she was named assistant to Mother Isabelle and treasurer of the convent. She devoted herself successively to embroidery and sewing to contribute to the maintenance of the community. She was appointed in several of our religious convents and became General Assistant on August 10, 1951 until October 13, 1952. Sister Mariam Aoun was known for her modesty, her withdrawn and quiet life and her love of prayer. They compared her to Saint Joseph; she was an exemple for religious life, due her spirit of conciliation, her goodness and her devotion. With Mother Isabelle, whom she accompanied faithfully, she is one of the pioneers of our apostolic orientation. She died at Mar Doumit couvent, Roumieh El Metn, March 21, 1964. 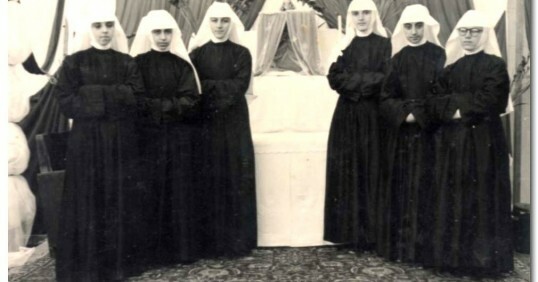 • Sister Isabelle Khoury (1878-1953) from Jezzine (Southern Lebanon), in line with these spiritual mothers, opened for us the road to apostolic life. Contemplative and active, she was for us a living rule and a guide. Her motherly face is unforgettable and her words continue to echo in us. 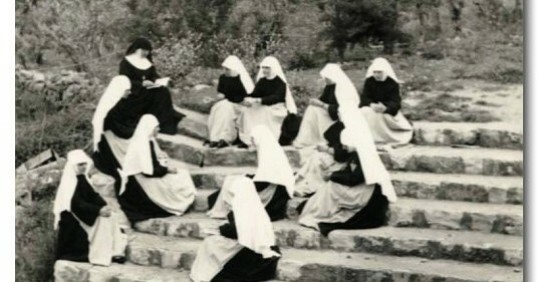 Some features of the life of our nuns are enough to give us an idea of their holy dedication to God in the two monasteries of Ghazir and Jezzine. Four painful stages, at least, marked the known life of our sisters. The successive Druzes and Christians revolutions, (1841-1845-1860), followed by the atrocities of the First World War (1914-1918) during which a third of the population died of hunger, decimated by the blockade of the Ottomans occupation. The third and fourth stages are the recurrence of the Druzes revolution (1925) and the war of Lebanon which prevailed until the end of the century (1975-1990) followed by 15 years of occupation. In 1842, an incursion of insurgents into the monastery of Saint Anthony of Padua in Jezzine put the Sister's life in danger . The martyrdom of the Abbot Genadios Khawage Bkassini several of their lives, according to the Abbot Emmanuel Baabdati. Sister Barbara Aoun was among those that were caught while escaping. 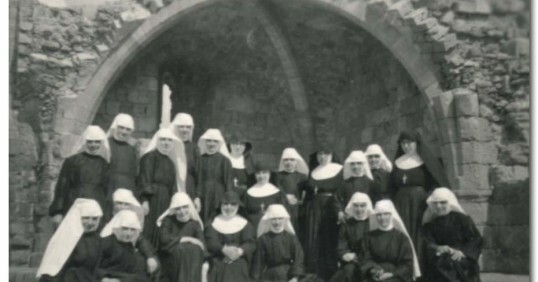 In 1860, when the monastery was burnt, the Sisters fled to the community of Ghazir. The same happened in 1925, with the recurrence of the Druzes revolution. Mother Isabelle Khoury remained alone with a seriously sick sister. During their life, our sisters suffered both white and red martyrdom, dying with Christ for the salvation of the world. The following are only two of many names. • Sister Barbara Aoun (1843) is one of the first known martyrs. During her escape, she took refuge, first at the monastery of N.D. of Machmouche, then in the surrounding areas. When caught , she underwent atrocious sufferings, yet she did not deny her faith, and continually called upon the name of Jesus and Mary. • Sister Antoinette Zeidan (2000) was inhumanly abused and tortured. Her body was found showing marks of violence. Her death shook the conscience of her acquaintances and friends, in Lebanon and abroad. This Sister was known for her simplicity, piety and seriousness. She was devoted, charitable towards the poor, full of apostolic zeal and attached to her Congregation. To all these mothers in the faith, this saying applies: "the blood of martyrs is the seed of saints." Our Mother, blessed among all, is the Virgin Mary, "the Woman sign". Lebanon is her Mountain. In our liturgy and all our prayers, we call upon her as a mediator of grace. Her example lights our way. We are "Mariamites". Our religious life remains true to its beginnings. After their exodus from Syria, when the majority of Maronites settled definitely in Lebanon, the number of monasteries multiplied in the Lebanese Mountains, especially in the North and in Kesrouan, reaching a hundred monasteries in the XVth century. The mixed monasteries, where monks and nuns collaborated together, were either donated (wakf) by faithful families or were erected by bishops as relay-monasteries for their temporary living. These monks and nuns lived in the simplicity of their faith and their commitment and attachment to the liturgy, plowing and cultivating the land and interacting with neighboring villages in work and prayer. However, the expansion in Lebanon of several Latin Orders, such as the Carmelites, the Franciscans, the Capuchins and the Jesuits, incited in our autonomous monasteries a desire for renewal. At the end of the XVIIth century, a progressive renovation began. Mixed monasteries ceased to be. Two religious Orders were born: the Lebanese Order of Saint Anthony in 1695 and the Antonine Order of Saint Isaïe in 1700, which were governed by General Councils elected and engaged by monastic vows. The nuns were attached to either one, under the jurisdiction of the General Abbot of the Order, as vicar of the Maronite Patriarch. The Maronite Synod of 1736 confirmed this organization, after updating the Constitutions of the Lebanese Order of Saint Anthony. These same Constitutions, with little modification, were adopted by the Antonine Order. Several Maronite Patriarchs approved these Constitutions starting with the Patriarch Estephan Douaïhy in 1700 and followed by others in 1703. The Holy See confirmed them in 1732 for the Lebanese Order of Saint Anthony and in 1740 for the Antonine Order. The fourteenth chapter of these Constitutions, concerning the nuns, is equally reproduced in the text of the Lebanese Synod of 1736. All the monks and the nuns took the name of Saint Anthony and followed what was known as "the rule of saint Anthony" which is simply an combination of traditions and recommendations extracted from the "life" of Anthony by Athanase or taken from the successive clerical Councils and out of practices in the monasteries. Our Lady of Bkerke from 1720 to 1750. Our Lady of Tamish in 1673. It was erected by the Patriarch Gabriel Blouzani, initiator of the Renovation of the Antonine Order. The nuns remained there until 1727. Saints Peter and Paul in Kattine, southern Lebanon, founded by Bishop Gabriel Awad, at the beginning of the XVIIIth century. At the beginning of the XVIIIth century, and with the help of Bishop A. Qaraale, the principal reformer of the Lebanese Order, began the slow movement of separation of mixed monasteries which lasted more than one hundred years, until 1824. The Lebanese Synod confirmed these Constitutions, after Assemani amendments and all the adjustments that resulted from it. The monasteries of Kesrwan were gathered at Saint Elias in Ghazir in 1748. 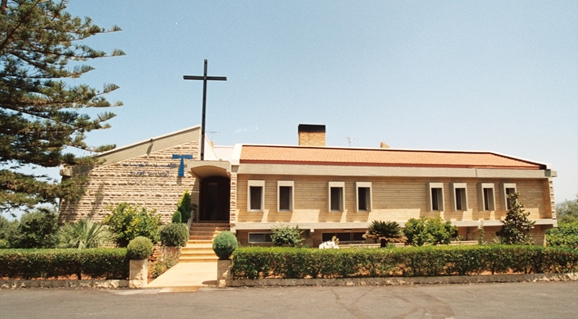 The monasteries of Baabda were gathered at Saints Peter and Paul in Kattine, then at Saint Anthony of Padua in Jezzine in 1774. Two factors decided this orientation: the desire of Mother Isabelle Khoury and the approval and assistance of the Antonine Order in the person of the Abbot Youssef Aramouni. 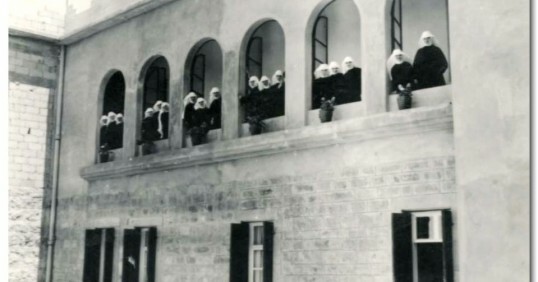 Mother Isabelle Khoury and Sister Mariam Aoun moved from the monastery of Saint Anthony of Padua in Jezzine to the Convent of Mar Doumith in Roumieh- El Metn, on May 10, 1932. A school, an orphanage and a novitiate were opened at the convent. In 1940, the enclosure was lifted. 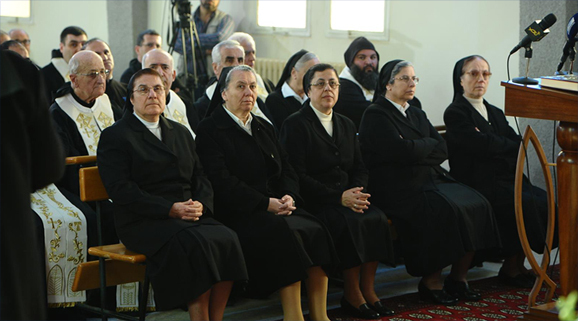 Two new convents and schools were founded in Zahle and Richmaya. 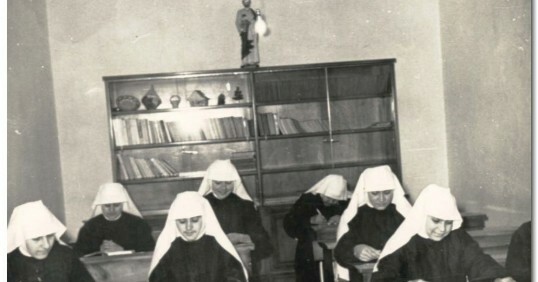 To raise and update the level of teaching, four sisters were sent to the Teachers' training school of the Sisters of Providence in Ribeauville-Alsace in France, to finish their studies (1949-1952). 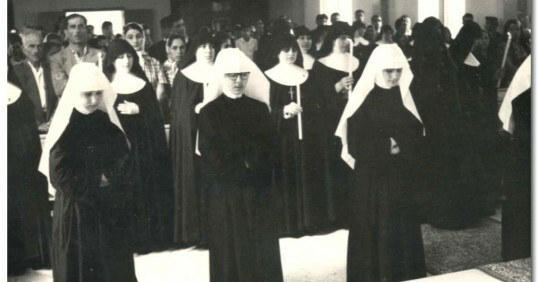 With the publication of Motu Proprio "On Various Sides V, I" in 1953, as Instruction of the Congregation for the Eastern Churches concerning the option between the cloister and the apostolate, the Antonine Sisters definitively opted for the apostolic life. New specific and appropriate Constitutions were then approved by Rome in 1958. At the end of Vatican Council II, we actively started the study of its documents, especially those concerned with religious life (Perfectea Caritatis), at the rate of several sessions per semester, with the aim of applying the required Aggiornamento. Several editions of the Constitutions followed. The last formulation was confirmed in 1996, after the publication of the new Code of Eastern Churches (CCEO) in 1993. By adopting the apostolic life, without giving up the contemplative dimension of religious life, we had, in accordance with the same Roman Instruction, to acquire an autonomy in harmony with the requirements of the apostolate. In line with this fact, we had to separate administratively from the Antonine Order, yet we kept our fraternal, spiritual and apostolic relations with the mother Order. Our relations tend to deepen for a better collaboration at the heart of our Church. The Antonine Order did not hesitate to offer us material and spiritual assistance for our apostolic development. Pieces of lands and convents were given to us, in order to begin our first apostolic places of insertion. For our part, we didn't hesitate to offer our services in various fields, especially in education. Ten years after the sending of four sisters to France to perfect their studies, six others enrolled at the University of the Ursulines in Cleveland-Ohio, in the United States of America in 1959 to specialize in different academic fields. The opening of the anglophone school in Aïtanit –Bekaa in 1949, required their competence. The tradition of sending sisters to the Ursulines is maintained to date. A mission of pilgrimage in Jerusalem in 1995. In all these houses abroad, priority is given to parochial assistance, especially during the weekends: catechesis, choral, visits to families and patients or a simple presence. These missions are encouraged by our Maronite Church. In Lebanon, especially during the war, priority was given to the peripheral regions that were most forgotten and threatened. The Notre Dame of Peace Hospital was built in Kobayat-Akkar in 1995; the threatened schools on the southern borders were not forsaken: Debl, Rmeich, Aïtanit, Aychieh and especially Nabatieh, whose student body is almost entirely Shiite. The dispensaries in Debl and Rmeich continued to answer the urgencies. The Beirut orphanage, half destroyed, was transferred to the House of the Rosary, acquired in Achkout-Kesrouan in 1980 for this purpose. The faculty of engineering established in Roumieh-EL Metn, accommodated scattered students after the destruction of the primary edifice. After the war and in the hope of encouraging the return of the locals to their villages, after ten years of exodus, the two small schools of Majd El Meouch and Richmaya reopened to a small number of students. Sacrifices do not count in facing such a disaster. We lived all these historical moments overwhelmed with God's presence and His graces. His hand is always present to guide us. May He be glorified forever ! Mother Isabelle Khoury (1878-1953) is the initiator of our new apostolic religious life.Her personality, wisdom and broadmindedness are signs of her broad and varied education and culture. She led a cloistered life at Saint Anthony of Padua monastery in Jezzine for more than twenty years. When in the cloister, she heard in her heart the call to help the needy and the poor. Assisted by the Antonine Fathers, in particular by the Abbot Youssef El Aramouni, on May 10, 1932, she moved with Sr. Mariam Aoun from Jezzine to the convent of Mar Doumith, Roumieh, El Metn. That was the beginning of the apostolic orientation while adhering to our contemplative roots. She would always repeat: "In the apostolate, you have to carry your contemplative vocation amid human masses. We have to carry the convent in our hearts as a token of our monastic engagement and our total gift of self to Him, "all for the All", for the apostolate takes its source in the religious community and is an integral part of it. Balance between action and contemplation remains our principal concern, under the motion of the Spirit." Mother Isabelle took the Gospel seriously. In the cloister, she was anxious and obsessed with her ideal to open up to a greater service. Moving to the convent of Mar Doumith, Roumieh El Metn was the signal of this new orientation toward the apostolate, in accordance with her aspiration and those of her milieu. She bore witness to Christ in a prophetic and charismatic way. Fascinated by her example, many acquaintances joined in. Her friendly welcome, presence, abnegation, ardent faith, love of the poor and her participation in the most modest work made of her a living rule for us all. Mother Isabelle concretizes in the Church the image of the Woman «sentinel of the Invisible»: Mother, partner, sister and friend. Three qualities distinguish her most rewarding behavior: her opening to the Spirit, her compassion and her endurance. Nothing is comparable to Christ and His Love. Choose Him everyday; repeat His "yes" and His fiat with each one of your acts. Mercy is worth more than the offertory. Despite the difficulties, it is God who takes the lead. God calls us to the poor House of Nazareth through asceticism, endeavor and love. The Word of God is best assimilated in meditation, silence and prayer. The sick, weak or sad sister should be given all the care she needs. No privileges are given to Mother Superiors, rather listening, discernment, goodness; understanding and firmness are required of them. The responsible is the servant of the community and a guide to each one on the path of Christ. The poor are welcome in our convents, our schools and our hospitable homes, taking no account of our possibilities. God will provide. We have to carry the Gospel everywhere, in Lebanon and abroad, and to found houses of reception for the orphans, the elderly and the forsaken. These words are a life experience. They are as fresh as a spring of water ! From our origins, we must live the contemplative dimension in our apostolic life aspiring to measure ourselves to the call of the gospel: « Go, sell all you have, give it to the poor and come follow me ». Our spirituality is from the heritage of Saint Anthony, called the father of monastic life, the patrimony of our Maronite Church. Moreover, we draw from the charisma of our innovator, Mother Isabelle Khoury, thus meaning the evangelic simplicity, family spirit and the love of the poor. Faithful of this spirit, we strive to live our religious consecrated life with its contemplative and apostolic dimensions in the footsteps of our Lord, true God and true Man, and by witnessing his mercy and love with generosity and joy. We are pious people. Praying is a central part of our Eastern and more particularly of our Maronite identity. Personal and liturgical prayer is the heart of our religious life. It is the source of our dynamism. With the lectio divina, we celebrate our encounter with God and our alliance with Him. By it, we know more the Lord and our love for Him grow deeper. This lectio divina is the listening to the Holy Spirit through meditation, silence, and worship. It is a contemplative pondering over the Word of God, and an attempt to penetrate into all the richness and the depth of God's Word so that it can address itself to us in our daily life. It is a time of conversion and awareness of all disturbing and distressing aspects of our today's world, such as the profound crisis of values. It is a time of listening to the "cry of anguish" which rises from everywhere for a more just and humane world. A daily quiet and deep dialogue and a prolonged prayer connect us with Christ, in a prayerful meditation, and contemplation. Silence and love go hand in hand. A new being is born. It is in the depth of silence that the still quiet voice, teaches us, and gets us back to communicate with God and humanity. We carry our peace through purified words by the fire of a redemptive silence. That is the power of love. "The love of Christ urges us” to conform ourselves with Him, with the desire to rediscover His first love and respond to it. "Starting from Christ” requires of us fixed stages of spiritual life, retreats, moments of meditation, return to oneself, fraternal meetings, forgiveness, exchange of life experiences, and a spirit of adoration and prayer. This primacy of spiritual life is our unique path towards Christ, so as to know Him better, and intimately follow His steps. The intensity of this life depends on the degree of profundity that we are willing to give Him waiting for the revelation of the Lord and the Advent of His Kingdom. The intimate dialogue with God is assisted by the liturgical prayer of the community. The liturgy is an asset in our spirituality. For the Syro-Maronite tradition, it is a synthesis of the theology and the spirituality. This liturgy is sanctification of time, integration through the praise of the cosmos, and a "continuation of the Word of God that had been read, understood, assimilated and finally chanted: these hymns are in majority sublime paraphrasing of the biblical text, interpreted and personalized by the experience of the individuals and the community" (The Light of the East, 10). This liturgy emerges from the sacraments, especially the Eucharist, prayer of prayers and bread of healing and life. Religious life is thus suspended between two summits: The Word of God and the Eucharist. The Word is made flesh in us as in the Virgin Mary. We totally enjoy Christ who embraced our humanity and offered Himself to us in His sacraments until His return. Marana tha. We are called “to radically follow Christ” by our total gift of self and service through our chastity, poverty, obedience and fraternal life. and the wearing of the monastic garment as a symbol of putting on the new “man” Christ. After the Renovation of 1700, this alliance was expressed through three vows: obedience, chastity, and poverty. God alluded to that in the Bible: "What the Lord requires of you: is to do the right and to love goodness and to walk humbly with your God" (Micah 6:8). Like all Christians, we are called to live in faith, love and hope; likewise prayer is life for us and service is a requisite. But what Christ particularly expects from us, is our engagement through our vows, in communal life, silence and assiduity with God. Obedience has its roots in commitment. It is listening to the Holy Spirit, in faith and freedom, following the example of the filial relation of Jesus to His Father. "We must obey God rather than men" (Ac 5:29). We should obey our superiors, in the name of the Gospel, accept our human limits, in affiliation with the Church and our Congregation. Obedience is a constant attempt to overcome the lust for power, to train oneself to true freedom, and to the listening to God's Will which is expressed by the community and especially by our superiors. It is a bond of unity and love: "See how they love one another." Poverty has no meaning without the announcement of the Kingdom of God (Mat.5:3). This Beatitude is the traditional emblem characterizing our Syro-Maronite ancestors. Poverty itself embraces life’s pains, illnesses and injuries to liberate oneself and others. The poverty that Christ requires is an inner attitude of total submission to the Lord and an abstention from richness and possessions considering them as means not as an end in themselves. Poverty is liberation from power. It is a service. Vatican II speaks again of a poor Church and needy people. This ideal questions us on the poverty of our missions, our communities and our listening to the "clamors of millions of poor people" that demand justice. Beyond the vows, and at the heart of religious life, the event is the encounter with Christ and His preferential, exclusive and final love. "Start off from Christ”, “to choose Him again, follow His example and seek His company out of a unique passion for God and humanity." The synthese of this passion can be summarized as follows: “Thanks to the embracement of evangelical councils, the characteristic features of Jesus- chaste, poor, and obedient–become perfectly and permanently "visible" in the midst of the world, and the attention of the faithful is called to turn towards the Mystery of the Kingdom of God that is already in action in history and is awaiting to reach its full dimension in heaven”. (A New Hope for Lebanon, 52). Eastern, Maronite, Antonine and open to the channels of the Occident, our spirituality was established, since the Advent of Christ, around three axes: theological, traditional and historical. It developed in space and time forming a dynamic, original and living core, growing rich by all its outlets while remaining faithful to its roots. Solitude and communion define the mystical asceticism, the nisk, which marked the Maronite tradition. It concretizes itself in the life of saints since Maroun, Charbel, Rafka and Neemtallah, among others, lay people, monks and nuns who remained obscure. Silence, prayer and struggle summarize their path. Incarnation and diaspora draw out our cross, between the Orient and the Occident, as a growing seed of resurrection. The incarnation of the Maronites stems from three underlined assumptions: to God, to the Church, to Lebanon, and the people of God. These fidelities are characterized by openness and endurance through martyrdom. The diaspora known as dissemination has to become a seed of communion, unity, and hope in the future despite the distance. Memory and awaiting ensure the continuity between a past rich in graces and a future filled with promises. The living tradition is a spring and not a well of stagnant water. It is embodied in various situations and socio-cultural conditions, without losing its soul. It grows and develops, starting from a basic solid and durable core. Like "The Word of God it develops with he who reads it" in the spirit (Saint Gregory). This tradition is on a standby. It opens to the future with the Almighty God and with "the creation, saved in hope; it still groans and travails in pain until now” (Rm 8/22). The entire liturgy is the memorial of redemption, by the beauty and the force of the Spirit. It is a call for the return of the Lord, “His second Advent”: "Come, Lord Jesus!" This Spirituality resources itself in monastic life which is its special mark, for our Church is monastic at its origin. The total gift of self, “the whole for the Whole". It is the heroism of the mystical asceticism the nisk. Wisdom in the sense of extreme love for the cross. Passion for God which establishes the link between heroism and wisdom and gives celibacy its real meaning. Daily resorts to Holy scriptures making the Word of God an object of study and meditation and a way of life. This spirituality inspired the Maronite religious life at Quannoubine, in the Lebanese Mountain and everywhere. Lebanon was called "Land of the monks" and the nuns (Leroy). This spirituality conformed itself to the Western structures after the Lebanese Synod of 1736. This openness to the traditions of the universal Church was a blessing, yet it remains occasionally unfamiliar to our Eastern traditions. The evolution of religious life remains attached to the sources while turning to modernity. Promotion of communion, a characteristic of our family and Church traditions. What will be revealed is our way of living together like sisters, of sharing and concerting, and of promoting a life style based on mutual aid, forgiveness and joy. This savoring of the Gospel is "the enchantment" of religious life which attracts and calls forth: "Come and see". "Young people in particular yearn for a Community life in which the mission finds expression and where faith is shared and deep relations are rooted." Intercommunication remains an ideal and a task to implement and develop. We are called upon to make "the dialogue between cultures" prevail at all levels: ecumenical, interreligious, social and political. The aim of this dialogue is to establish communion in peace and fraternity within plurality. In a ravaged Lebanon and a blazing Middle East, our big family includes the poor. We have to put them at the center of our concerns. Our passion for Christ is, at the same time, passion for humanity. As religious women, "our heart seems to be created to carry on to the world the message of God's mercy and goodness" (Jean Paul II). "The love of Christ urges us" (2 co 5/4). We have to assume His spirit and put at the center of our lives an intimate and a strong relation with His person and His Word. He is the only and unique Son of the Father and we have to be totally united to Him. Our ultimate rule is to follow Christ according to the teaching of the Gospel. The study and assimilation of the Bible through meditation, kerygma, prayer, and practical application take on, a prime priority. This evangelical rooting is in the pure syro-antiochian tradition. Our Charisma is from the heritage of Saint Anthony, called the father of monastic life, the patrimony of our Maronite Church. Moreover, we draw from the charisma of our innovator, Mother Isabelle Khoury, thus meaning the evangelic simplicity, family spirit and the love of the poor and the evangelical spirit of the Antonine tradition that she embodied in her life, through her worship and outspoken testimony. The evangelical and prophetic simplicity bears witness to the presence of Christ and His unique preference. Simplicity is the synthesis of the Gospel of the Beatitudes. “Blessed are the pure of hearts for they shall see God” (Mat. 5/8). This simplicity is setting aside all superficiality, with an open heart, a stretched out hand and the innocence of a child which forces itself through all barriers and penetrates the hearts. It is the reflection of the "fruit of the Spirit", which is "love", a seed of all other values: "Charity, joy, peace, patience, kindness and goodness" (Gal 5:22). Therefore, simplicity holds the promise of visioning God in this life and through eternity. However, simplicity is not acquired once and for all. It remains a goal to reach in the twilight of life. The family spirit consists in listening, sharing and giving. "God so much loved the world that He gave His Only Son" (Jn 3:16). This mystery of communion is modeled by the Word of God which guides and controls our "mutual relations". "This communion which is shared with the Father and his Son Jesus Christ, is the source of a complete joy (1 Jn 1:4). This communion means recognition of the sinners, sympathy with the poor and union with the saints in heaven. Family ties are the characteristics of our people. However, in religious life, the bonds are weaved around Christ and within the evangelical communion of what we are and what we have, in the solidarity which builds unity and mutual support with goodness, compassion and mercy.True fraternal communion is the path which we follow together: by the word that we listen to, repeat and pray, by the action which we think of and achieve together, and by reconciliation and mutual forgiveness. Love of the poor. "Blessed are the poor of heart for theirs is the kingdom of heaven" (Mat. 5:3). Our concern for the poor is a sign of comprehension and love towards all those who call for help. Our interest in them is measured by the way we give and not by the quantity given. It is a network of communication created for all those who have lost the antennas of communication. We give, following the example of Christ, who gave everything. By a thief condemned to crucifixion, He inaugurated the kingdom of heaven. Poverty is communion with the poor. It is a spirit of poverty which goes beyond appearances and does not stop there. It is the basic identity to which we are called and an objective we long to attain in our behavior and in our convents and institutions. Actually, these features remain a promise and a Hope. At the beginning of this third millennium, the world around us is torn by ethnic hatred, prejudice, homicide, madness and tendencies of hegemony. Faced with this danger of explosion, we are called upon, in our religious communities and the Church, to become radiant sources of love and peace and establish a dialogue of mutual comprehension and fraternity. "The Christian East has always given testimony of communion, capable of embracing cultures and of showing great respect for the communities. Our forefathers knew how to create such a rich and varied mosaic with different stones" (Light of the East). We form with our Sisters in the Congregation an integral part of the body of Christ. We have to become, in our religious family, signs of sisterly love through radical sharing of goods, activities and hopes. Together we follow the Lamb everywhere He goes. We take part in the mystery of the Trinity living in us. This mystery reflects Christ on the face of our sisters whom we support in Christ. We tend to be like the first community "one heart" which is nourished from the same source: love of God and of our fellow men and women. We are "guardians" of our sisters in the community, friends through a full and honest love and a reciprocal affection and mutual relationships, like those which connect the members of one body. We are within the Church, at the heart of the Church and daughters of the Church. We cannot love and serve Christ, without loving the Church, its people and its institutions. Our participation in the Maronite patriarchal Synod, which had grouped Maronites of the five continents, confirmed our attachment to our Church and its service, as well as our opening to the universal Church. Experiencing the spiritual atmosphere of the Church urged us to become more involved, responsible and engaged through our gifts. We have to become Church, to live together the adventure of the Holy Spirit and to bear witness to communion. An effective bond connects us with our Pastors: The Holy Father, our Patriarch, our bishops, the priests with whom we collaborate, especially the Antonine Fathers and all the Pastors of the Eparchies in which we are implanted abroad: France, the United States of America, Canada, Australia, Cyprus and Jerusalem. This communion at the heart of the Church is Trinitarian and christological, hence filial. Communion with the Union of General Superiors in Lebanon. Communion with the International Union of General Superiors all over the world (UISG). Communion with the Assembly of the Catholic Patriarchs and Bishops in Lebanon (APECL). Communion with the Middle East Council of Churches. Communion with the other Christian churches in a concern of ecumenism. Communion with the Muslims in a fraternal dialogue. In our various apostolic institutions, our collaborators are mostly lay people. Like us, they are members of the people of God and of our community. Lay people take part in our pastoral, educational, charitable and technical services. They belong to our apostolic communities, as partners, through an evangelical and a spiritual relationship of compatibility. In a spirit of poverty and mutual respect, we have to enrich our collaborators in the various fields for their personal, professional, spiritual and ecclesiastical growth. This “collaboration” with the laity is anchored in our Maronite tradition. All the monasteries had "their associates", the families of the neighboring villages who collaborated in the domestic works and in the fields. They shared the ascetic and mystical life of the monks and the nuns. At Our Lady of Qannoubine monastery, the Maronite Church formed with its associates a praying and working family for four centuries (1440-1854). "As of its origins, the Christian Orient took various interior forms and was able to adopt the characteristics of each particular community. We can only give glory to God for the marvelous variety with which He knew how to create, from divers stones, such a rich and beautiful mosaic" (Light of the East, 5). What our religious life can testify to is shown in our way of living together as sisters, through our sharing and understanding of one another and our ability to create a way of life that bears witness to compatibility, forgiveness and joy. Our evangelical spirit constitutes the centre of "attraction" by which our religious life motivates and attracts others. Love and enthusiasm for Christ, the center of our lives and the creation of intimate relations with Him, in order to form an emotionally mature person and highly perceptive. Attraction towards a dynamic spirituality, rich with traditions, forming a ''solid core" of convictions and expectations for the future. Steadily in alert, in response to the "clamors" of the poor and those who suffer to bring about a more equitable, human and fraternal world. The initial formation finds its importance in the interaction with the young people called by John-Paul II "sentinels of the dawn". This calling is for them as well as for us a life style. We attract them and they attract us. Each girl who joins us is a sign of courage and an authentic and joyful witness to her encounter with Christ and her willingness to enter into the mystery of the Holy Trinity; therefore, she should be capable of growing humanly, emotionally and spiritually. Today, many new values attract our youth. Evangelical logic helps to discern individualism from uniqueness, disorder from freedom, transparency and frankness from pretension and selfishness. Young people ask to be heard to bring to the limelight the recognition of their aspirations and their potentials to become in turn witnesses, apostles and leaders. Continuous formation develops and completes the initial formation, molds the aspirations, gives confidence and full control to the candidates, and integrates them into the life of the Congregation and its projects. Belonging to the Congregation, develops and deepens through following the examples of the most experienced and respective family features and religious values which contribute to the maturing of the Congregation and its edification. The most convincing example to follow is that of our Educator and Mother the Blessed Virgin Mary, who fully lived her joy in hope, her courage in hardships, her perseverance in prayer and attention to the sisters and brothers needs (Rm 12: 11-13). ecumenical, interreligious and intercultural dialogue. We live between two axes of the mission: communion with God and communion with our fellow men and women. What we heard, what we saw... we bear witness to (1 Jn 1:1-2).In prayer and through experiencing Christ, the mission becomes an impatient and passionate urgency. "I was hungry and you gave me to eat..." thirsty and you gave me to drink... you have done it unto me (Math. 25: 35-40). Today and always, Jesus identifies Himself with the humble and the needy. He shows us the way. We relive through the traditions of our Syro-Antiochien Church the sanctity of religious life and the unity between action and contemplation. The monks and nuns were always an integral part of society; their problems and hardships never withdrew them from it. Even in their hermitages, their main objective was to collaborate and interact with their neighbors, preach the Word, call for conversion and repentance, as well as plowing and cultivating the land as means of livelihood. An increasingly advanced competence to remain at the level of the task entrusted to us. Our diaconate of the Word of God has the priority. We have to live the Word before proclaiming it. It is a Word of life in our catechesis, our encounters and our conferences. We bear witness to it in our writings and through the mass media. This Word of God is a burning fire in our heart, our body and soul, our reason, intelligence and imagination; in short all our being is called forth to become sacrament of the Word and instrument of its action and that of the Holy Spirit. Being with and living “for others” is a source of life, in God and within humanity. The more we surrender to the Holy Spirit, the better we listen to His inspirations and read the signs of our time. By so doing, indifference is no longer possible. Hence through our engagement everything blossoms in us and around us and is reborn to Hope. Our apostolic vocation is Jesus’ plan and that of the Good Samaritan; it is “a heart that sees” where love is mostly needed and acts accordingly. It bears witness through what it is and what it has. Prayer, and the work of our hands and tender touch do the rest. We are in God's hands. We seek success, without holding on to it, and with total surrender to the inspirations of the Holy Spirit. The future do not come randomly. It is rather fashioned and invented by new answers to current changes, at all levels. The actual crisis of values calls for help. The future is an over-all rebuilding; it is a new start in the radicality of our love for God, the balance between the person and the structures of our religious communities and the unconditional awaiting for the advent of the Kingdom of God, in concertation with the people of God. The future calls upon us to advance with a greater renunciation to all that we own and a conscious awareness of our vulnerability and the "wonders" that God bestows upon us. All our missions, in Lebanon and abroad, are nothing but means to hasten the Coming of the Lord, to create in us and in our collaborators and the people whom we serve, the great desire for the Kingdom of God in our life and the lives of others. We look towards the future, not only proud of a glorious heritage, but ready to add another page to our Church history, thanks to the Holy Spirit who "supports our weakness": "Do not fear, I am with you", says the Lord. The torch will continue to pass from hand to hand, and "the Word to become flesh". The Antonine religious authority, organically linked to the Church, fulfills three functions: the teaching, sanctification and government to the example of Christ and in the spirituality of the congregation. It is not only spiritual, but also hierarchical. Christ is the source from which it draws energy and momentum to be at the service of charity and to work for the cohesion between its members by focusing on Christ. It is exercised through the General Chapters, the Superior General and the local Superior, assisted by their respective boards. The General Chapter is the representative body of the whole congregation. It has the supreme authority in terms of its domestic law. It exercises its powers by issuing decrees and decisions and elects the members of the general administration. Its members have the same rights and assume the same responsibilities. The General Council consists of the Superior General and four General Assistants who work together for the implementation of the decisions of the General Chapter. This council establishes the outlines of a vision for the future of the congregation. They seek to adopt the principle of collaboration and unity in the exercise of power. The General Secretary keep the record of decisions of the General Council communicates to homes and religious news and information about the mission, spiritual life, education and others as directed by the Superior General. The General Bursar manages the assets of the congregation, under the supervision of the Superior General, control records of accounts of each house and studied the obligations of each. The Mistress of Novices ensure the education of novices and their training at various levels. It establishes their training program and proposes to the General Council for approval. The Mistress of Young Professed oversees training and ensures growth at various levels. The Mistress of postulants takes care of their education and helps ensure their religious vocation. The apostolate is a testimony of love. With the unique resourcefulness of the Holy Spirit, a versatility of answers is provided to meet the needs of our Church and of our time. Our apostolic services seek love, charity and efficiency. Our convents, in Lebanon and abroad, are the basic setting of our religious and apostolic life. Some convents have their well-known mission. Others are closely related to a specific mission. Our missions perform substantially educational, medical, social, artistic and pastoral functions. The latter are separated from the said institutions, yet remain its energizers. Through these missions, as well as those involving parishes and prisons, we aim at being at a close proximity and a deep solidarity. We attend to the poor and forsaken as our first priority. Our pastoral mission of prayer is at the service of those who seek spiritual renewal, time off for meditation, resourcefulness, solitude and prayer. Bikfaya, Ain Alak and Our Lady of Qannoubine convents are renowned for that. And many of the sisters help in the parishes. Our educational mission, the main objective of our educational mission, is to seek ways and means to achieve an adequate formation of our students: spiritually, intellectually and socially. These educational missions accommodate the major part of our activities throughout the Lebanese regions and abroad and offer appropriate educational services at all levels of society. Our educational mission is "a leaven of salvation" and aims at molding the moral character of our fellow men and women by adopting the most appropriate and the most recent methods of formation: educating and teaching while providing the most adequate training facilities in view of openness, solidarity, conviviality and dialogue of cultures at all levels: ecumenical, political and interreligious. Our institutions pertaining to educate, in Lebanon and abroad, count twenty-one (21) school establishments; ten (10) are at the secondary level. Most of these institutions are trilingual (French, English and Arabic) and educate some fifteen thousand students (15 000) in a given school year. Our social and healthcare mission of compassion and charity is lived through our Homes for children (orphans and social cases), our hospitals, dispensaries and homes for the elderly and for the mentally and physically handicapped. Our vocation is to alleviate suffering through our presence, care, attention, psychiatric and spiritual help. We have to provide a family to those who suffer from loneliness, a meaning of life to those who lost it and an ideal to those who do not have one. Our mission of reception consists in opening fraternal and family-like homes for university students who move to the city to pursue their higher education. Our cultural and artistic mission at the Workshop of Sacred Art aims at a return to the source, the valorization of the heritage, the re-creation of its particularity in icons, stained glass, objects of worship and vestments. It seeks to incarnate the spirit of the Maronite liturgy by using the syriaque language for the motifs and decoration, according to the liturgical cycle. In addition, a great number of our sisters express themselves through manual art: cooking, sewing, weaving, embroidery, painting, woodcarving and floral decoration. This charisma of the handwork gives them a chance to enjoy life, pray and innovate, emphasizing the importance of the symbolic and the poetic as spaces for human and spiritual enhancement. Our mission in the media speaks the language of our time: T.V. interviews and programs, publication of books, articles, conferences and the use of the audio-visual means. It is a mission of cultural formation, aiming at spreading God's message through reading, listening and seeing. Our Convents and Houses, in Lebanon and abroad, have twofold entity: convent-apostolate. On both counts, they are the synthesis of our religious task in administration, education, hospital, social service parochial and cultural service. Our mission has no frontiers; it is at the service of our people in Lebanon and abroad, and in communion with all other people. 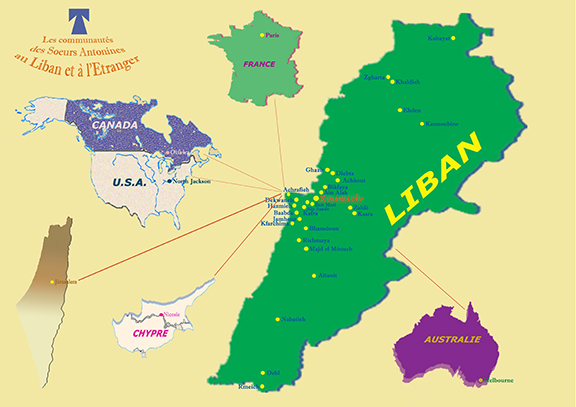 In Lebanon, thirty (30) convents are established in different regions. Four of them are historic monasteries, places of memory, of religious life and apostolate: Convent of Mar Doumit, Roumieh; Mar Elias monastery, Ghazir; convent of Our Lady of Deliverance, Ain Alak, Convent of Our Lady of Qannoubine, Kadisha. The twenty-five others integrate religious life and mission. Abroad, seven convents are established in some countries. We went there at the repeated requests of our Maronite ecclesiastical hierarchy and our institutions form a bridge between Lebanon and the countries they are implanted in; they are oases of hope to maintain ties with the motherland and a steady desire to revisit it. Our institutions aim at openness without losing our identity and the acquisitions of competences which serve society and enrich both parties. Faithful to our Maronite Church and to our Lebanese heritage, we work in Lebanon and abroad with what we are, welcoming our spiritual, human and professional contribution, within a well-balanced exchange and communication. Our mission, always and everywhere, tend to become efficient, loving, hoping and charitable. Dear internaut, you will find in this page all the Antonine Sisters publications. If you would like to order a book or any other product, please send us a message. Treasures of the Fathers of the Church includes a biographical note of 28 Fathers of the first eight centuries of the Church, followed for each by some texts drawn from their works. These texts reveal to us the inexhaustible wealth of these Fathers and their actuality. They allow us to discover the strength of their faith, the elevation and fecundity of their doctrine, in the face of the traditions of Judaism, in the face of the diversity of Gnostic currents, in the face of the objections of Greek philosophy, and in the face of Christological controversies. They also reveal to us that the Fathers are the builders since, on the basis of the unique foundation laid by the Apostles, they built the first structures of the Church of God. Dear Internaut you will find in this page all the web sites of our apostolate missions as well as other usefull links. The Myvocation website is mainly for those who are searching for their Own Vocation and who feel called by God. It also concerns who care to support young people wanting to answer the call of God and all those who want to support. Not long ago before that calling, you would have said that you were building your own life. Even more, you could have said that you were doing exactly what you wanted and that it was really "your way". But suddenly, in the middle of that road, you felt an urgent calling that made you follow another path... How is it that we would want to belong to someone other than to ourselves? Why did we choose this particular path? "